Swix is the most recogized ski wax in the industry. 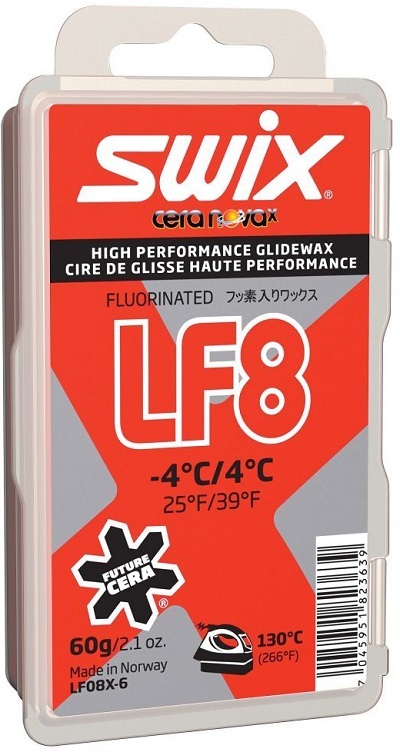 With an assortment of waxes for your skis and skins you can adapt to any snow condition. Yes, waxing skins can greatly improve glide as well as prevent glopping in the later part of the season. 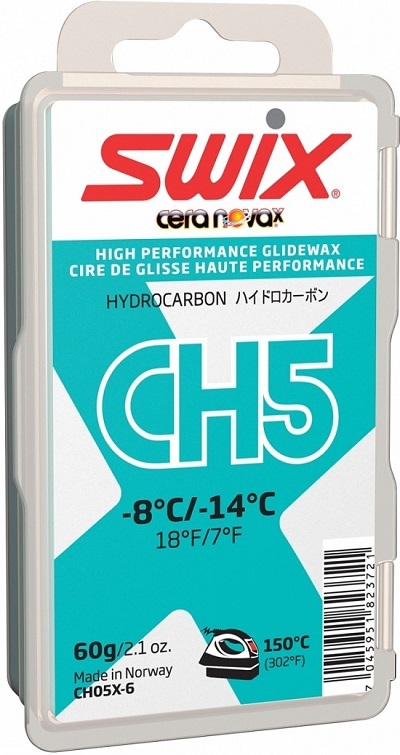 CH (Hydrocarbon) waxes are great for skis and skins alike. LF (Low Fluorocarbon) waxes work great on skins in snow with more moisture. F4 is a universal flouro wax which can make skins really fast. Use this on its own or mix with a CH temperature wax to create your own blend. All waxes are sold in 60g blocks. 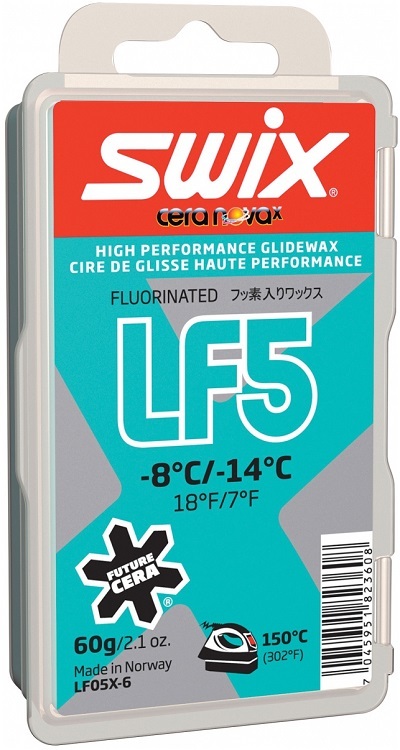 Warning : Fluorcarbon (LF or F4) waxes can potentially contaminate skin glue so use them on the plush side of skins only. Swix was what I first started waxing with and continue to use most weeks. Between a full set of CH and LF, you should have faster and more controllable skis than almost anyone else you ski with. CH7 is a perennial favorite for a harder wax in all conditions, while CH10 is great for summer storage. LF in combination with a little structure you are anywhere near the ocean or skiing above freezing can be a big help and make sticky skis into skates. I have used the Swix hydrocarbon wax series exclusively for years and have been very pleased with its performance in all snow conditions as a ski and skin wax. The temperature breaks for the wax make good sense to me and with just 3 you can pretty much cover any conditions year long in Colorado. I also refuse to ski in 0 degree weather which helps! Ski waxing is easy even with CH7 which is a tiny bit brittle. It can still be scraped just fine but I prefer to run a piece of Swix Fiberlene over the ski between the iron and base on the last pass to remove excess in a much easier way than scraping. It really is the bomb. CH8 is great for most of the season and is durable. More durable than what ski shops in my area use anyway (FWIW). CH 10 - Yellow (doesn't appear to be sold here at the time of this review) is a great spring wax and rips in corn and soft wet snow. I feel like it is a bit less durable but that is expected.  I use CH8 for skin hot waxing and I have to say- it is easy and risk free. It also ROCKS! Do it! 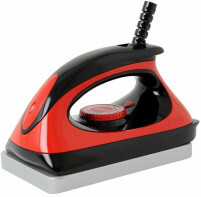 I use a setting of 100 deg F on my iron and do two crayons with ironing in between. It is the bomb. 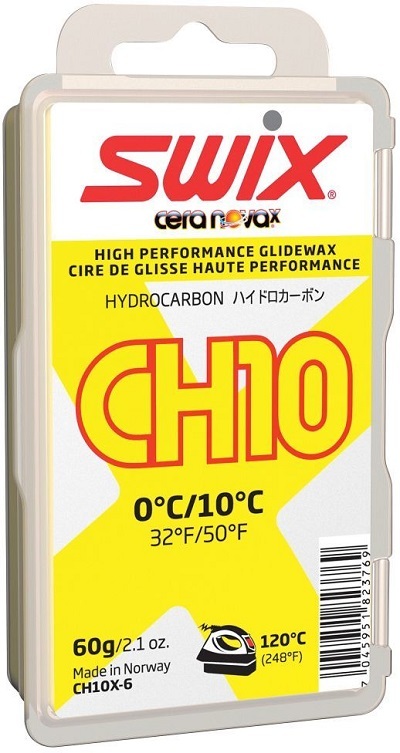 So, one word of warning though: I have used the Swix family of hydrocarbon wax exclusively for years and still am a mid pack racer. I don't blame the wax though! Five Stars for CH8 as a skin wax. Far more economical than all the specialty so-called skin wax products that are just rebranded hydrocarbon glide waxes. Plus the 60g block is kind of almost perforated into three 20g blocks, each the perfect size to bring with you into the field. Aside from saving space in your pocket, each 20g block helps when reaffixing your climbing skin to concentrate the pressure of your hand so as to press the skin down very securely to ensure you don't have any voids as well as squeeze out any free water on warm days. - Only once have I tried hot waxing skins, and the potential singeing of the fibers scared me, but some racers swear by it. - The potential for fluoro wax on ski bases to cause skin glue failure is a warning I heard back in the 90s when I first started backcountry skiing, but I've never heard any actual evidence or scientific explanation (whether for or against).